Come see why we are the small city with the big, healthy heart! 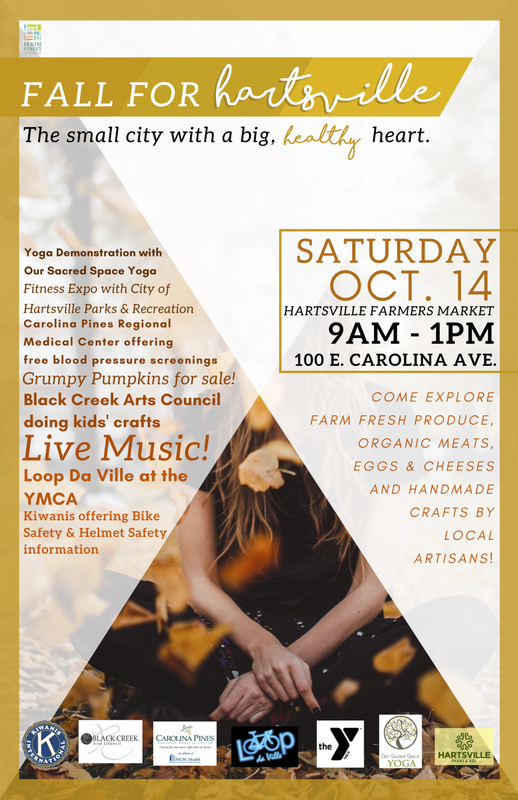 Yoga demonstrations from Our Sacred Space Yoga, a Fitness Expo with Hartsville Parks & Rec, Free Blood Pressure Screenings from Carolina Pines Regional Medical Center, Black Creek Arts doing kids’ crafts, Loop Da Ville at the YMCA, Hartsville Kiwanis offering Bike Safety & Helmet Info and Live Music! Click the event below for more information.